Helps keep items from shifting during driving. Flexible, nylon cord. 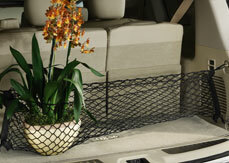 Secures easily with tie-down hooks in cargo area..